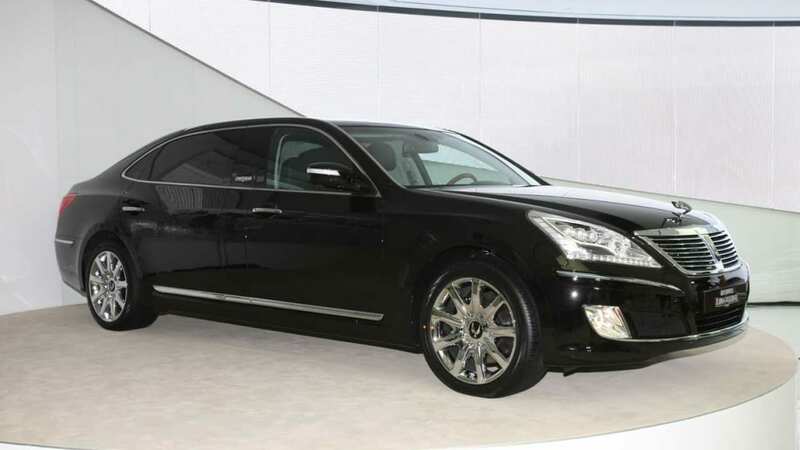 Hyundai has just launched a new Equus limousine in its home market designed to appeal to executives that really need extra stretch-out room. The new Equus VL500 has had 12 inches of extra length inserted in between its axles. The extra length means that the already large Equus now bests other competitors like the Lexus LS460L and Mercedes S500L by almost 15 inches in rear leg room. For those not in a hurry, the new limo uses the Lambda 3.8-liter V6 as the standard powerplant. The new 5.0-liter version of the company's Tau V8 is optional with 394 horsepower. As befits such a ride, the longer Equus incorporates features like power rear footrests and massaging seats. Korean customers can order the factory stretch now at prices ranging from the equivalent of $113,000 to $122,180, but at this time, Hyundai America has no comment about a possible U.S. variant to accompany the previously-announced standard-length model. Be sure to check out the press release and video available after the jump. *All specifications in this release are Korean domestic. 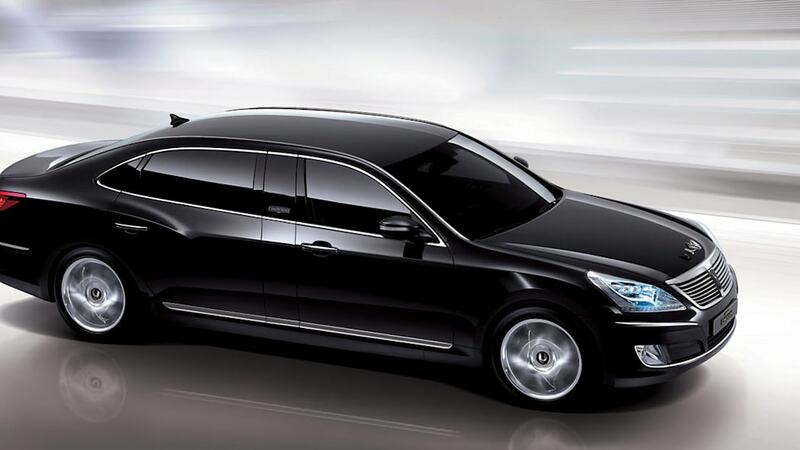 (Seoul, Korea) Hyundai Motor Co. today began receiving orders for the long wheelbase edition of its most luxurious car, the EQUUS. The stretch edition offers several upgraded features from the normal sedan version, including differentiated exterior designs and longer overall length. The engine and other functions have been reinforced to attain first-class performance, safety, comfort and convenience. 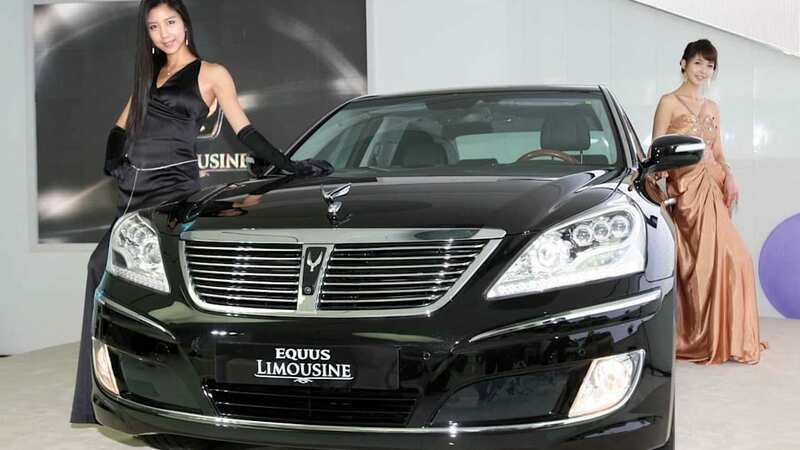 With the comfort of passengers at the forefront of its design principle, the EQUUS Limousine, as it is named in Korea, offers passengers unparalleled levels of interior volume. The vehicle's length is longer than major competitors by as much as 310 mm, with backseat legroom as much as 376 mm longer, as well. 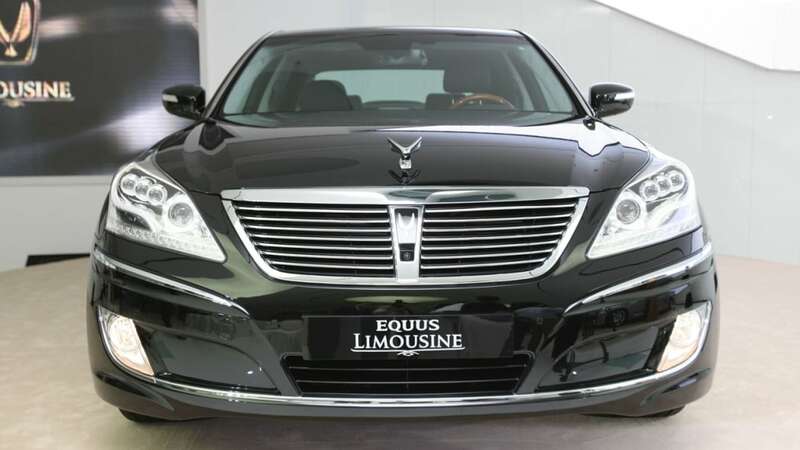 To differentiate it from the EQUUS sedan, the stretch version is equipped with an exclusive horizontal cross-bar radiator grille with an emblem in the center. 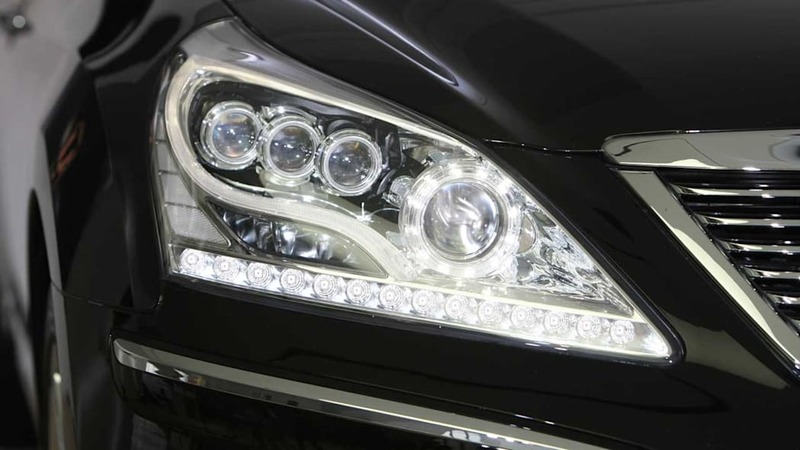 Thus, the exterior image exudes an impression of strength and confidence, in line with the vehicle's elegant image. 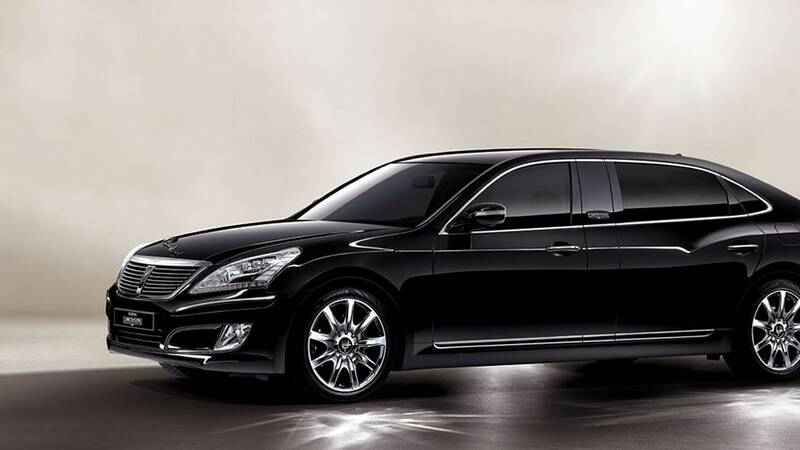 EQUUS Limousine comes with a choice of two sophisticated engines: The Lambda 3.8L engine and the Tau 5.0L engine. The Tau 5.0 engine, applied to the stretch version for the first time, is a reinforced version of the Tau 4.6L engine that won the 2009 Ward's 10 Best Engines award. The power-driven footrest, the world's first, along with Rear Seat Leg Support, Relax Posture Control and Massage System function, allows passengers the most comfortable driving experience found today. 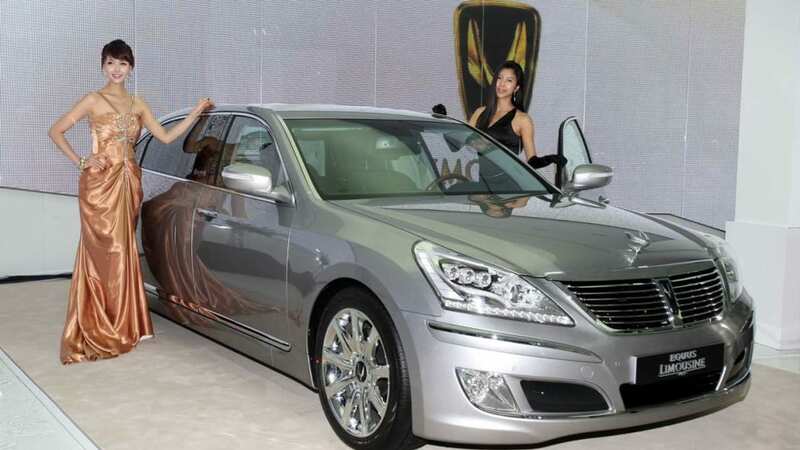 The price for the long wheelbase edition EQUUS ranges from 135 million won to 146 million won (approximately US$113,000 to US$122,180, based on today's currency exchange rates). 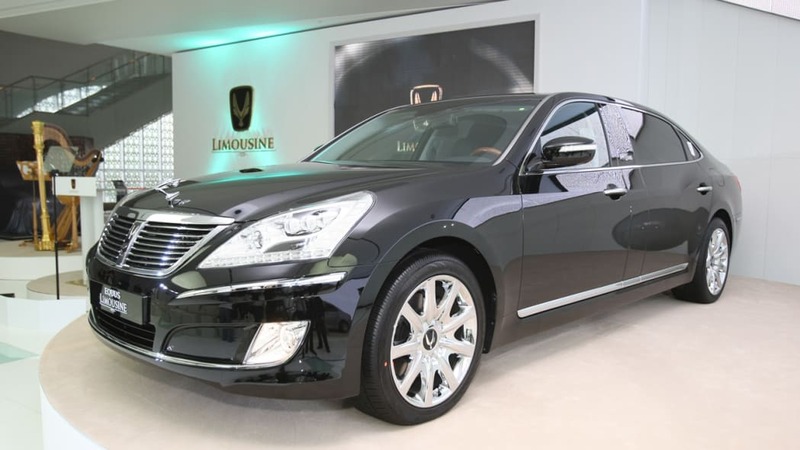 Additionally, Hyundai has successfully developed a bulletproof version of the long wheelbase EQUUS and has donated three units to the Blue House (the Korean Presidential Residence). Hyundai is the first Korean company ? and one of a handful worldwide - to develop a bulletproof car with its own technology.